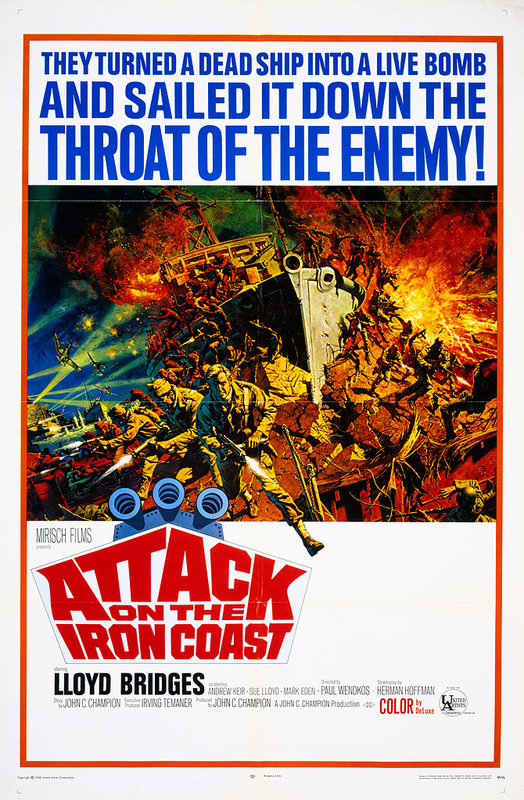 During the WWII occupation of France, the heart and strength of the German Navy sits in a heavily guarded port known as the Iron Coast - and it'll take a crackerjack team of Allied commandos to destroy it. Lloyd Bridges gives "one of his best screen performances" (Boxoffice) as a major hellbent on seeing a deadly mission through to its "blazing finale" (Films & Filming). Major Wilson (Bridges) is a loose cannon, and his latest mission is a perfect fit. He must take an old minesweeper filled with explosives and ram it into the Nazi's prized naval port. The problem is, he and his crew will have only five minutes to escape this floating torpedo before it blows. Even if they succeed in taking down the stronghold, will they live to see the tide of war turn?